Marketing on Amazon mainly happens online. Sponsored product ads, Sponsored Brands (formerly Headline Search Ads), and Amazon SEO are all great ways to make your products more visible and encourage potential buyers to convert into paying customers. But there are also offline marketing activities that are worth your efforts. Packaging inserts are one of them. Packaging inserts are printed marketing materials that sellers can add to their Amazon packages before sending them to customers. They are usually the size of a business card or postcard and carry a marketing message. Packaging inserts have the potential to be an essential part of creating a stand-out customer experience, achieve different marketing goals, and directly communicate with your Amazon community. Why do I need packaging inserts? Amazon doesn’t provide sellers with the personal contact information of their customers. But from a marketing perspective, each package sent has massive potential for upselling, incentivizing repeat purchases and encouraging feedback. And that’s what packaging inserts can do. However, to protect customers from spam, Amazon has enforced strict limitations on what kind of marketing materials you can add to your packages. That means you have to be very careful and exact when creating packaging inserts in order not to violate Amazon’s TOS. Who can use Amazon Packaging Inserts? Including marketing materials into packages is a lot easier for FBM sellers compared to FBA sellers. The only time FBA sellers can include packaging inserts is during the manufacturing process. (b) Task a printing firm with making the inserts and sending them to your manufacturer. If you fulfill your own orders (FBM), you can simply add inserts to each package you send off. No matter how you handle packaging and shipping, it is incredibly important to keep Amazon’s guidelines in mind. Otherwise, Amazon is very likely to block your seller account. There are two important Don’ts that you need to pay attention to, which you can find in Amazon’s policy on promoting outside sales channels and Amazon’s policy around reviews. Amazon is very serious about keeping buyers on their platform and ensuring that they purchase your products via them. As a result, you are not allowed to encourage buyers to buy directly from you (e.g. your website) or change to a different sales platform. No URL or other kinds of website referral should pop up in any of your marketing materials – even if they don’t directly relate to call for action to make a purchase. Attempts to divert transactions or buyers: Any attempt to circumvent the established Amazon sales process or to divert Amazon users to another website or sales process is prohibited. Specifically, any advertisements, marketing messages (special offers) or “calls to action” that lead, prompt, or encourage Amazon users to leave the Amazon website are prohibited. This may include the use of email or the inclusion of hyperlinks, URLs, or web addresses within any seller-generated confirmation email messages or any product/listing description fields. Fake reviews are a massive pain point for Amazon, and they are doing everything to ensure that the rating system stays truthful and reliable. That means as a seller you are not allowed to (a) directly ask for a positive review or (b) offer a discount or any other kind of incentive in return for a review. Even having a discount code and the CTA to leave a review on the same page means violating this policy. Misuse of ratings, feedback, or reviews: Any attempt to manipulate ratings, feedback, or reviews is prohibited. Ratings and feedback: The rating and feedback features allow buyers to evaluate the overall performance of a seller, which helps sellers to develop a reputation within the Amazon Marketplace. You may not post abusive or inappropriate feedback or include personal information about a transaction partner. This also includes posting ratings or feedback to your own account. You may request feedback from a buyer, however you may not pay or offer any incentive to a buyer for either providing or removing feedback. 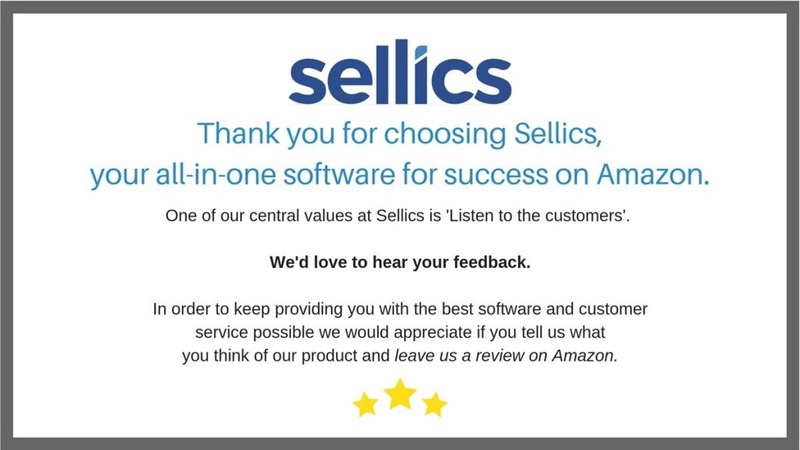 Reviews: Reviews are important to the Amazon Marketplace, providing a forum for feedback about product and service details and reviewers’ experiences with products and services – positive or negative. To ensure that reviews remain helpful, sellers must comply with our Community Guidelines. For example, you may not offer compensation for a review, and you may not review your own products or your competitors’ products. You may ask buyers to write a review in a neutral manner, but you may not ask for positive reviews, ask for reviews only from buyers who had a positive experience, or ask a reviewer to change or remove their review. If you think a review does not comply with our Community Guidelines, click on the Report Abuse link next to the review. For more examples of prohibited actions, click here. So you can’t directly use packaging inserts to ask for positive reviews. But there are loads of marketing objectives that you can meet with packaging inserts – including some good review acquisition strategies. Packaging inserts are versatile marketing material. They can help you achieve different marketing objectives, depending on where your focus is. 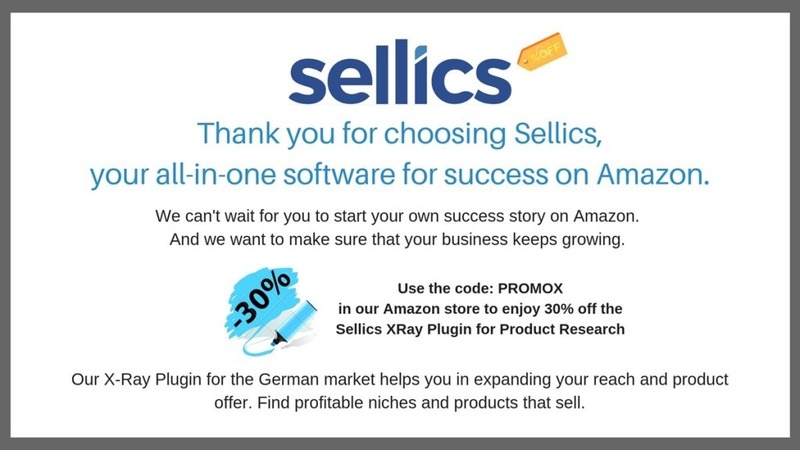 To illustrate this, we included some visuals based on our brand as an example- even though you will struggle to find our software in the Amazon marketplace. A package insert is a great way to remind customers to leave a review for your product on Amazon. And it is ok to ask your customers for a review. Just don’t ask for a positive review, nor offer discounts or other incentives in return. There is one incentive you can use to encourage people to leave a review and not get in trouble with Amazon. And that incentive is great customer experience. People love little surprises. Adding a little unexpected ‘something-something’ makes the customer feel special and valued – this might be a discount code or useful tips and tricks. And customers who feel valued are much more likely to return the favour and leave a review. By providing extra value you don’t have to ask for a review directly, but you give customers a reason to take the time and tell others about your great service. We already talked about adding a little ‘something something’. In addition to encouraging people to leave a positive review, it also increases the likelihood of a repeat purchase. You can increase the perceived value of your product by including detailed instructions and ideas on how to use it. A great example would be a little recipe booklet for kitchen appliances or gardening tips for home improvement products. Packaging inserts are the perfect opportunity to incentivize a buyer to make a repeat purchase (and make them feel valued). You can do that by offering a discount for their next shop. Special offers for complementary products have proven themselves to be a successful strategy. Another great option is offering discounts for slow-selling products or inventory that you need to sell within a certain timeframe. The discount should apply to your Amazon store, not your website or other sales channels. Otherwise, you will violate Amazon’s ToS. The discount should NOT be offered in return for leaving a review. In fact, if you want to offer a discount, you should avoid including any marketing materials in the same package that even hint at leaving a review. Just as you can use packaging inserts to encourage positive reviews through great customer service, you can also use packaging inserts to provide great customer service and thereby avoid negative reviews. Showcasing the promised benefits of your product not only reminds people of why they bought it in the first place (and fight buyers remorse) but also manages expectations. 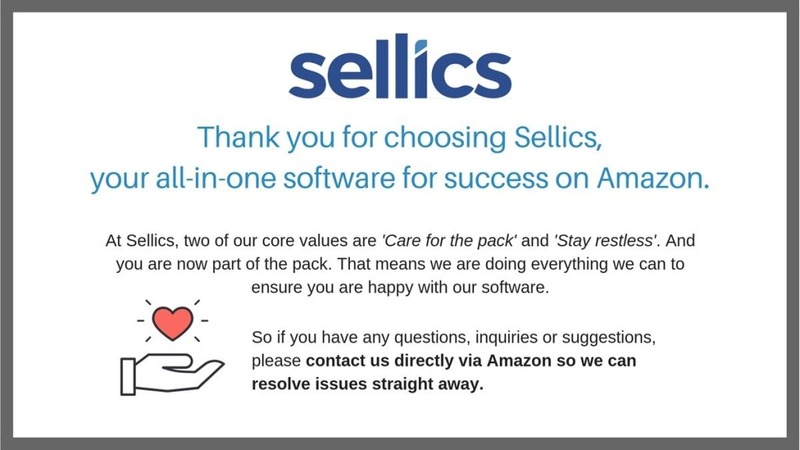 You can add a little note on how you are happy for customers to get in touch with you directly (via Amazon, not your website) in case of any issues. This gives you the chance to resolve issues early and directly, thereby avoid negative feedback. Omni-channel marketing means incentivising customers to discover and engage with you through a variety of channels. The touch point of one channel (e.g. buying on Amazon) should seamlessly lead to interaction with another channel (e.g. Social Media). A standardized brand experience across channels is incredibly important in this strategy, as it adds to the customer experience and can create increased brand loyalty. The objective is to keep the buyer engaged and eventually turn her/him into a raving fan and repeating customer. You’re not allowed to lead Amazon customers to any of your other sales channels (including your website or store). However, encouraging people to like your Facebook page or Instagram account, or asking them to share a picture of them using your product is safely within Amazon guidelines. It is difficult to establish any kind of brand identity on Amazon, especially if you are using FBA. Even if you are a Private Label seller, the design of your product listing and packages make it seem that buyers are actually receiving their product from Amazon. To create a more branded customer experience, a package insert can serve as a reminder that the product is indeed from you, and thereby foster brand loyalty. Price competition is very tough on Amazon already. So anything that you can do to stand out and out-perform the competition is a quick win. A packaging insert can be exactly that. Do any of the above and the next time your buyers have to decide between you and your competitor, they might just remember you much more fondly. The goal of any packaging insert is for the reader to take action. Even online (when taking action is usually just clicking on a button or a link) making people do what you’d like them to do is difficult. Being clear about the goal and including a focused call to action makes it easier (and more likely) for your customers to take action. Decide what you want to achieve with your packaging inserts, and limit yourself to one clear call to action. A little piece of paper can easily end up being overlooked when opening a package. A beautiful and appealing design that attracts the eye of your customer is essential in ensuring that your packaging insert is being seen in the first place – and doesn’t end up in the recycling bin straight away. Don’t forget to include your brand logo in the design. Your packaging insert competes with the excitement of receiving and trying out a new product. Creating a sense of urgency can serve as an incentive to take action straight away. Speaking about response rates – most industry experts predict a 5% response rate for packaging inserts. This might seem low, but there is a way you can increase your opt-in rate. For your packaging inserts to be successful, you need to have a deep understanding of your customers. The best way to get these insights is through tests. Test which design, content, and call to action are most popular with your customers. Finding out what truly works can improve your response rate from 5% to 20-30% – making packaging inserts a very effective marketing tool. 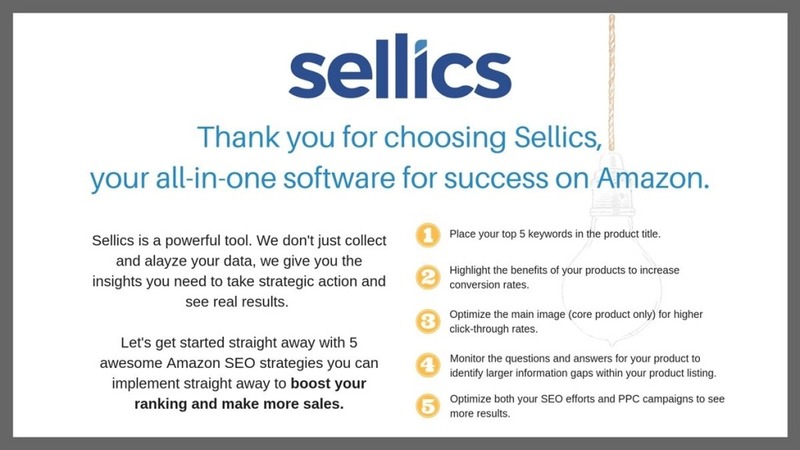 Create more time for offline marketing strategies with Sellics’ PPC automation software. 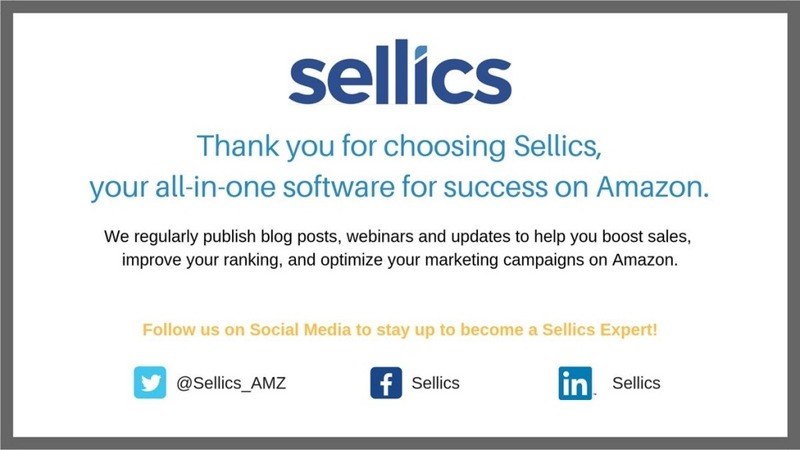 Sellics’s PPC Manager dramatically simplifies the management and optimization of Amazon PPC campaigns. Use our PPC Manager to maximize revenue and optimize your Advertising Cost of Sales (ACoS). Save time and automate your keyword bids with our Bidding Automation feature. The PPC Manager is available in our Sellics Seller Edition and Vendor Edition. Amazon's Early Reviewer Program: Is it Effective for Sellers?